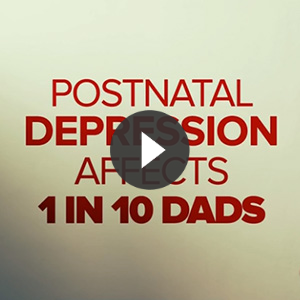 In this segment from the TODAY show, father of two and PANDA Community Champion Israel Smith and Associate Professor Dr Richard Fletcher discuss why we should be bringing more attention to postnatal depression in men. New fathers are screening positive for depression almost as often as new mums, according to new research. A small US study of community health clinics in Indiana analysed parent responses from more than 9,500 clinic visits and found 4.4 per cent of fathers were suffering depression, compared with five per cent of mothers. Recent research from Sweden found a whopping 27 per cent of the 447 new fathers studies had symptoms above mild levels of depression. The one thing more concerning? Fewer than one in five of them sought help.